 THIS PROGRAM IS AVAILABLE ONLY TO MEMBERS OF THE ENERGY COOPERATIVE BASED IN NEWARK, OHIO. LIMITED TIME ONLY! Get $50 for Recycling Your Old Refrigerator or Freezer! Click here to download the recycling form. The Energy Cooperative is offering rebates of up to $100, to residential electric cooperative members only, who recycle their old refrigerators and/or stand-alone freezers. *If you are NOT an electric member of The Energy Cooperative and would like to recycle your refrigerator, we recommend you check with your local electric service provider for possible rebate programs.